Most gentle facial cleanser with SLS? Cyndi of Cyndi Heart Pink left a commentÂ in my last post Keep Skin Beautiful With A Balance pH Level, to recommend a gentleÂ cleanser since most of those she has come across in Malaysia comes with Sodium Lauryl Sulfate (SLS).Â I thought that was a very good question since natural and organic skincare products are not readily available in many markets.Â Â In addition, not everyone is into natural or organic skincare.Â So what would be a cleanser that is gentle,Â non-irritating, provides natural pH balance,Â is easilyÂ accessible and also reasonably priced? Well, I told Cyndi to try Cetaphil Gentle Skin Cleanser.Â Personally, I haven’t tried the product because the packaging doesn’t appeal to me.Â I also suspect I may not like it very much because this is a non-foaming formula which doesn’t lather much.Â But the product has won many accolades andÂ rave reviews. Â On Makeupalley.com, this is the most reviewed products with 2686 reviewers currently giving it a rating of 3.5 out of 5.Â In addition, 62% of these reviewers indicate they will buy the product again. Cetaphil Gentle Skin Cleanser cost around S$15 and is great for those with dry and sensitive skin.Â Â I also readÂ many positive reviews from those with acne conditions too. Â Which is no wonder since this product was specificallyÂ formulated for those with acne, atopic dermatitis, diaper rash, dry skin, eczema, healthy skin, impetigo, psoriasis, rosacea, seborrheic dermatitis, sunburn,pre- and post-cosmetic procedures.Â Even dermatologists are recommending this. 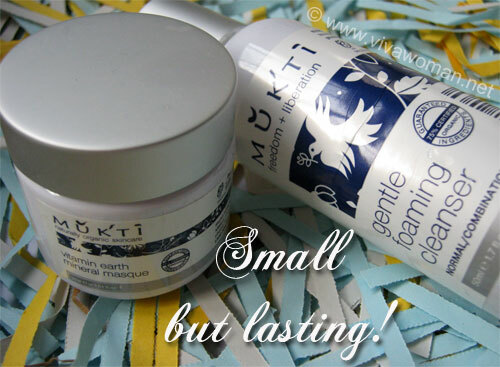 This cleanserÂ is saidÂ not to strip the skin of natural protective oils or emollients, or disturb the skinâ€™s natural pH balance.Â It is fragrance-free and non-comedogenic, making it an excellent choice for daily facial cleansing which leaves skin feeling soft.Â And if you’re usingÂ topical medications for your acne for example, this is a great cleanser to prepare your skin for the topical applications. Although it contains SLS, the concentration as I understand is only about 1%. Purified Water, PEG-200 Hydrogenated Glyceryl Palmate (and) PEG-7 Glyceryl Cocoate, Sodium Lauroyl Sarcosinate, Acrylates/Steareth-20 Methacrylate Copolymer, Glycerin, Sodium Laureth Sulfate, Butylene Glycol, Phenoxyethanol, Masking Fragrance, Panthenol, PEG-60 Hydrogenated Castor Oil, Disodium EDTA, Methylparaben. Well, at the end of the day, whichever cleanser you pick, you should not be over washing your face.Â I think three times a day is about the maximum.Â Because anything more, you are actually stripping away the naturalÂ oil on your skinÂ and that by itself would stimulate the skin to produce even more oil. Mukti Gentle Foaming Cleanser and Vitamin Masque 5+1 SLS-free foaming facial cleansers under S$40 Jurlique Foaming Facial Cleanser What comes 1st: shampoo or facial cleanser? hlpe: Great! Glad this product is working for you. Simple Moisturing Cleansing form contains SLS too but no taut feeling after cleansing. I prefer old version though. nicole: Oh ya, I absolutely don’t get it when new formulations are not as good. Very annoying. My sisters who have normal/oily skin really love this cleanser. I also loved it when I was using acne skin regimens daily like Dr. Murad and Boscia. Now, however, I am off these regimens since I’ve found that I’m no longer very prone to breakouts. Now that my skin doesn’t have drying chemicals on it every night, it stays more oily. In this case, I don’t feel like Cetaphil is potent enough to really clean my face. I feel like I have to use twice as much and wash my face longer for it to really take off my makeup mixed with the all the natural oils that have built up on my face through the day. I hope this helps people with oily but not acne-prone skin ^_^ It might be better to get another “lathery” face wash like Dr. Murad’s. Krizia: Hey, thanks for sharing! That’s really useful info coming from someone who has direct experience with the product. Cyndi: Well, try it only if you feel comfortable. But I certainly hope that if you do use it, it’ll work well for your skin type. Cetaphil works for my combination skin but if I’m wearing heavier makeup, it doesn’t remove it thoroughly. Need to double cleanse. flym: I’m not surprised since it does not foam. My Dermatologist recommended the Cetaphil and I accidently tried the regular daily cleanser…it really smells strongly. The gentle formula has no fragrance and so far has been gentle for my Rosacea. It may take a little to get used to the texture, it feels kind of slimy, but if you can get past that it is very gentle. 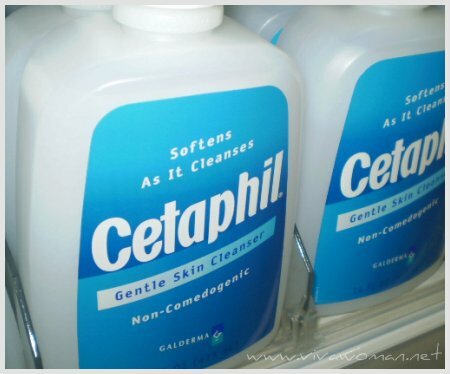 Andi: Many have commented that Cetaphil works well for them. I hope it’ll work for your skin too. It’s definitely gentle but it needs getting used to. I do have to recommend this as well. My brother’s dermatologist recommended it to him, because he has breakouts and oily skin. And after using this, his skin has improved noticeably. It has helped me improve my pimples as well. (: Definitely worth recommending. I have been using Cetaphil for half a year now. I started using it when the hormance thingy screw up my face and caused acne. I even on medication and finally regain back my pretty face. During the time doc recommend me to use cetaphil. And interesting, after using it for couple of months, my blackheads been clear but left with big pores. I’m still using it now, I have oily t zone. 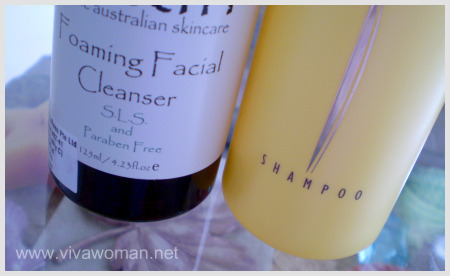 I use it in the morning, at least I use a more heave cleanser to act as double cleansing (with makeup on all day). I would say it work pretty well, you ll get used to not having lots foam. I ve used the Cetaphil for oily skin. It smells like medication, and I find it abit too drying, even on my oily skin, and left me with the squeky clean feeling, like after using a soup. My face is more oily after. From what you’ve described, it sounds like your skin is not getting sufficient moisturizing. That can result in your skin getting more oily and pores getting bigger too. It happened to mine at one stage. 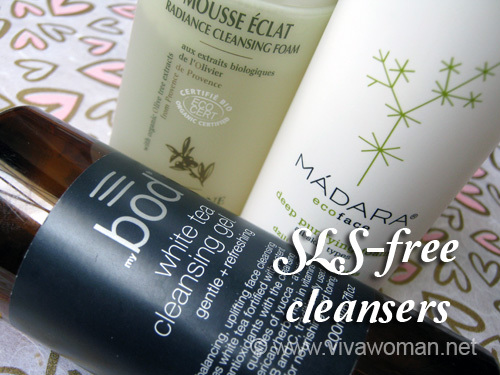 You might want to hunt down another cleanser that does not contain SLS. Sukin is okay. I actually used 6 – 7 bottles before I moved on to something else. i have just grab a bottle of the Sukin facial cleanser, love the smell and the skin after washing. Feel clean but soft and supple at the same time. Moisturising in the sense of hydration? What kinda orgnic moituriser that you can recommend for my skin type? I replied in the other entry. If you’re in Watsons, there are some new range you can check out. BOD, Oliv’ and Juice Organics. I have combination type skin with an oily t-zone. I’ve tried products from the cheap ones you can find at any pharmacy to other expensive brands and I have found through my own personal use that Shielo Complexion Scrub is the best. It does wonders for when my skin is extra oily and does an excellent job of giving my skin a clean feeling. The scent is very pleasant, very citrus-y. It doesn’t foam up, but I find that I prefer just to rub it in my fingers and massage it on my face. The 4 oz bottle lasts me about 5-6 months of daily use since you only need a very small amount to get the job done. I would recommend using some type of moisturizer afterwards as it tends to dry out my skin. Other than that, this product comes highly recommended. It’s a harsh ingredient but in cosmetics, not so much is used compared to detergents used for washing cars or dishes.